I've been in love with computer generated imagery ever since I first saw it start to show up in movies back in the early 80's. I think the stained glass window knight in Young Sherlock Holmes is what really made me fall in love with this field. As a teenager I worked for what was then ViewPoint Animation Engineering, when it first started out in Orem Utah, helping to digitize cars to produce super accurate computer models. I love 'still life' art as well as animation, and I've made both. I used some 3rd party images as textures, but everything else is mine. I modelled everything from basic primitives. I made both of these images to use in a Valentine's day card for my wonderful wife. Did all the 3D work using Blender. Produced the Sweetheart's (Jeff's Hearts) box texture using Inkscape. This is a project I've worked on slowly over a long time. 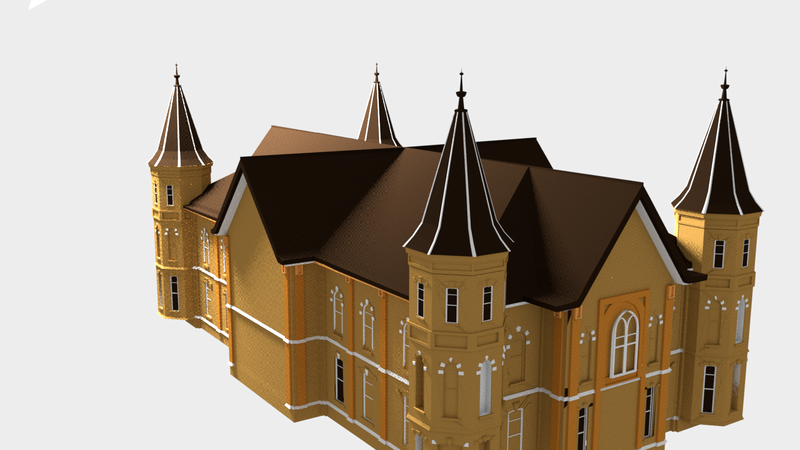 It's a model of the Provo Tabernacle, a historic building a few cities away from where I live. I still have some more modeling to do, texturing, lighting, etc and maybe an animation to make.